Further information has been revealed regarding Nintendo’s forthcoming console, codenamed Project Café. Details, including the system’s estimated pricing, release, console design, processing architecture, and name, have all emerged, apparently from sources “with knowledge of the project,” IGN report. Nintendo’s new console could retail between $350 – $400 (£210 – £245) based on current manufacturing costs, and will be available to be shipped from Taiwanese manufacturer FoxConn in October, placing the earliest possible retail release between mid-October and early November. 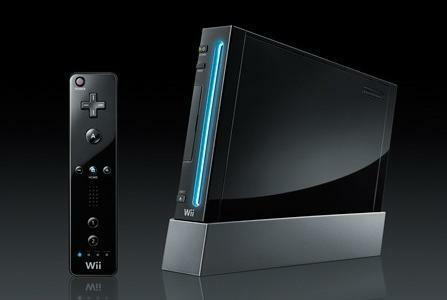 However, Nintendo may opt to build up a more sizeable supply of the console, allowing more time to be allocated to software development, which would place the launch in early 2012. In addition, Nintendo could also attempt to lower the retail price of the system through lower profit margins to make the price more enticing to consumers. As manufacturing is underway in Taiwan, it remains unaffected by the tragic earthquakes and tsunami that hit Japan last month and will therefore have no impact on building the console hardware. Additionally, IGN have learnt that the console will be based on a revamped version of AMD’s R700 GPU architecture, and not AMD’s Fusion technology as previously rumoured. As with Microsoft’s Xbox 360 console, the CPU will be a custom-built triple-core IBM PowerPC chipset, although the clocking speeds will be far faster with Nintendo’s console. It’ll support 1080p output, alongside the potential for stereoscopic 3D although it is still to be determined as to whether this will be a fundamental feature. In regards to hardware design, its overall size will be comparable to the original Xbox 360 model and is likely to resemble a more modern version of Nintendo’s classic Super Nintendo Entertainment System (SNES). The controllers for the system, as previously rumoured, will utilise integrated touchscreens and will be able to stream games to each controller, with sufficient power being received through the console. Lastly, Nintendo is considering naming the console ‘Stream’ although this is one of a several names currently being debated by the company.